Congratulations to Christina Frampton of Central Elementary School in Baxter Springs, Kansas! Christina is the winner of our December Starter Deal raffle. 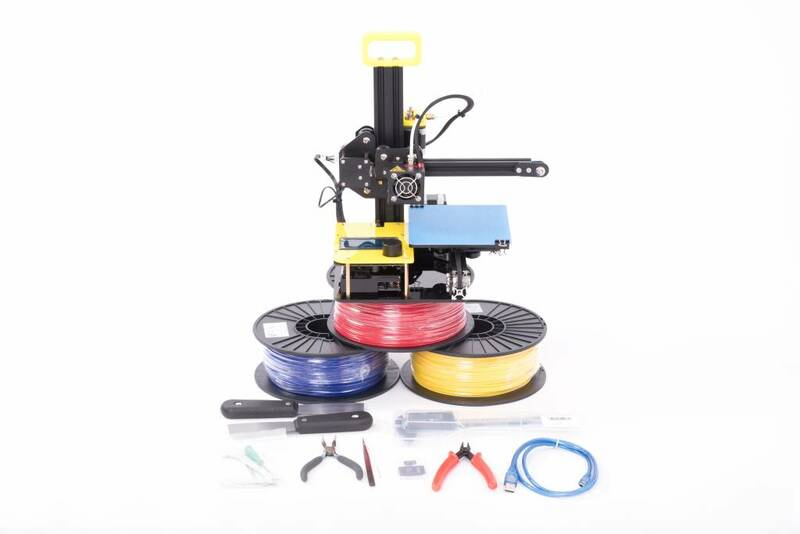 She and her students will receive an NWA3D A5 printer, three filaments, and the NWA3D Tool Kit, as well the unlimited videoconference training and lifetime support that are included with the purchase of any NWA3D printer by educators. The Starter Deal sells for $680. Christina was randomly selected from a list of over 900 teachers that signed up for the Starter Deal raffle from September through December. Thanks to everyone that visited our booths and entered the raffle at the education technology conferences where we exhibited throughout the autumn. Our team at NWA3D wishes everyone a wonderful holiday season. Teachers, thank you for taking on the essential (and challenging) task of educating another generation of students. We hope all your 3D printing dreams come true in 2018!